How to Identify Extension Methods in Visual Studio Intellisense ? 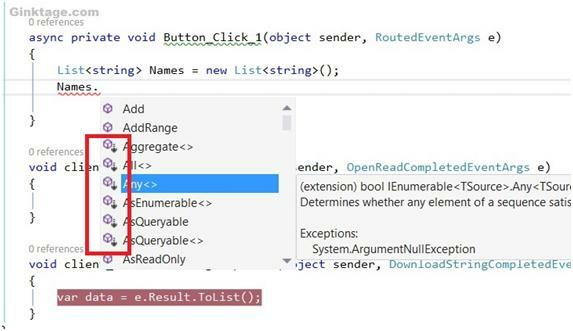 Here’s a simple trick to easily identify the extension methods in the Visual Studio Intellisense . The extension methods are marked with the down arrow when the methods are shown in the Visual Studio Intellisense . In the above screenshot , the methods Aggregate , All , Any etc are all extension methods.